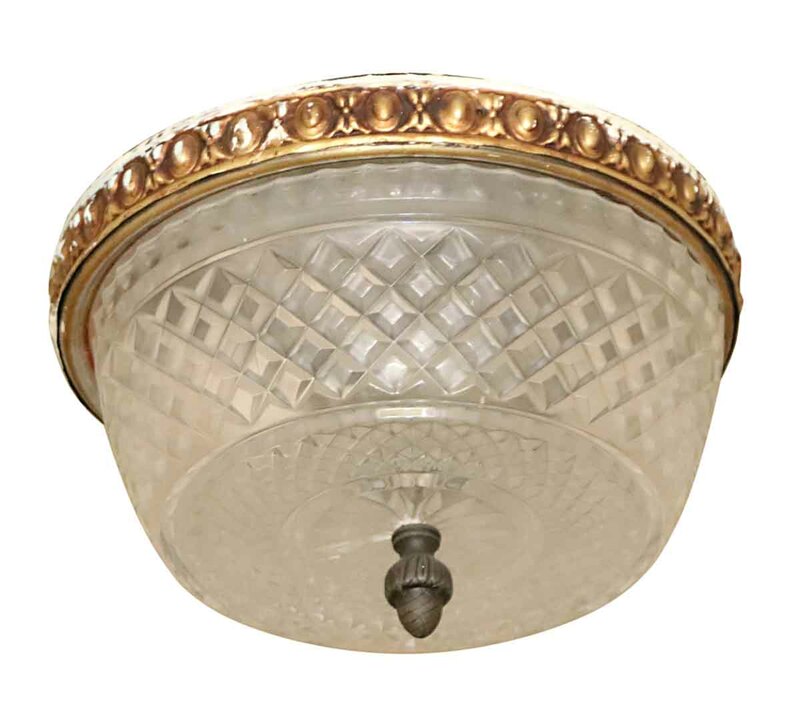 Petite flush mount fixture with clear diamond cut crystal and an ornate brass rim. Circa 1930. 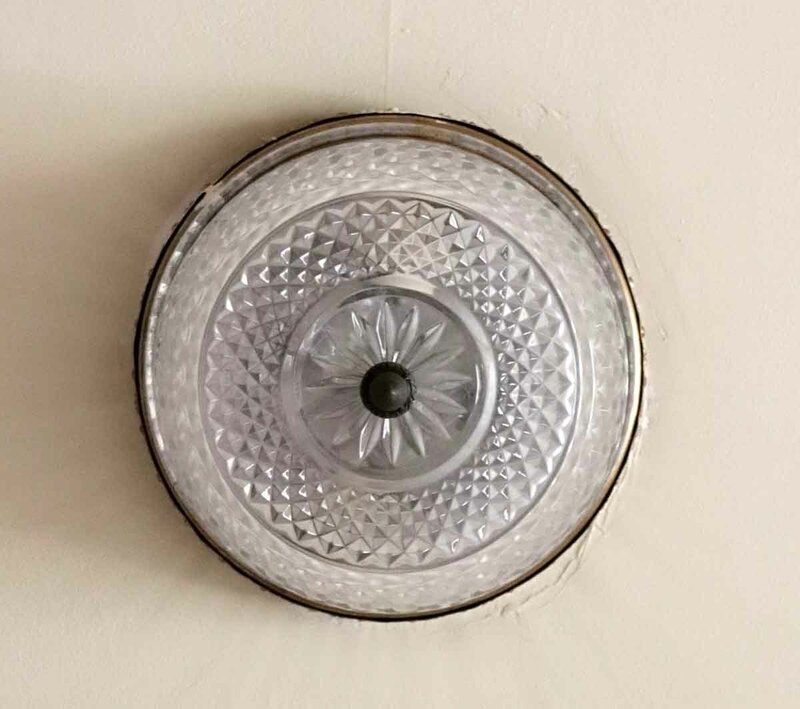 These lights adorned various corridors throughout the Waldorf Astoria Hotel. 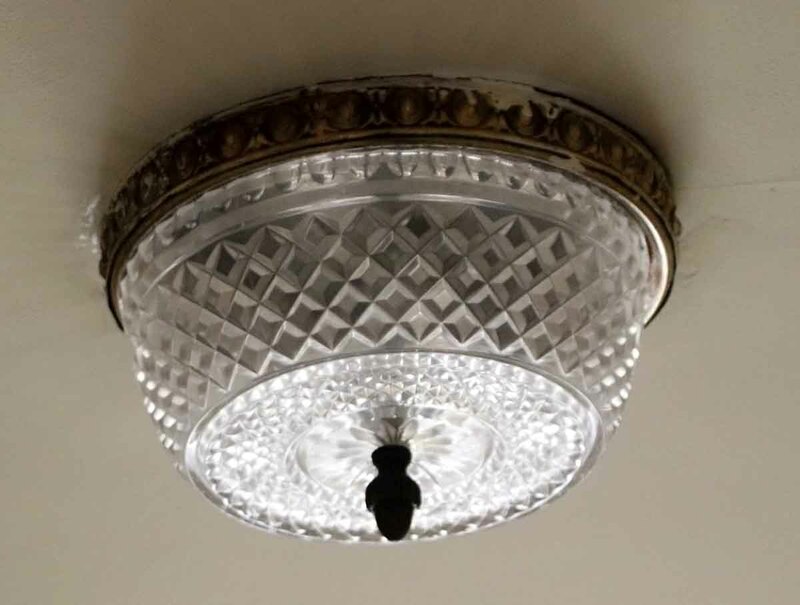 See item WAN251289 for the same fixture without a pineapple motif. Possible variations of the rosette and finial. Priced each.